You know whatever the state of your belief or disbelief, the tale of Noah and the ark could make for a badass film – dude with a beard faces apocalyptic floods on a wooden boat containing every species on earth. That’s rocking. 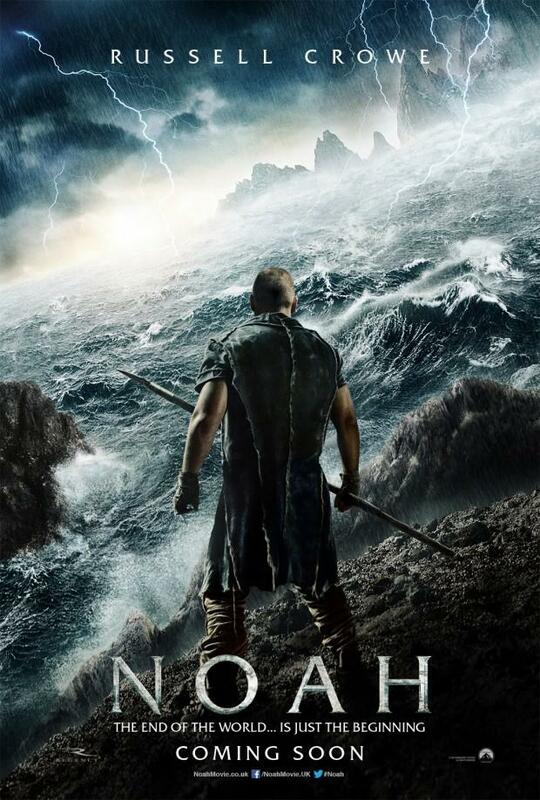 With an really intriguing director, Russell Crowe as star and that killer poster above, Noah could be great stuff. However there has already been murmurings that the final cut of the film will be highly geared toward fundamental US Christian audiences. And if that is the case, it will make the target audience for the final film very narrow. This trailer, quite frankly, looks terrible. Aside from the fact that Rusty looks totally killer with a beard and a buzzcut. I really hope I am wrong and we get a film that is fun and engaging for the everyday filmgoer. But I am not so sure. What do you guys think? The cast is wonderful and Darren A. does great work. It’s got a lot going for it. As an optimist, I’m hoping for the best. Agree with you on the cast and director. Just the trailer leaves me a little cold is all. I actually really dug the trailer. Looking forward to this one. I am still really keen to see it as well man.